These butterflies came to plants for sale outside the University of Florida’s tropical butterfly house. 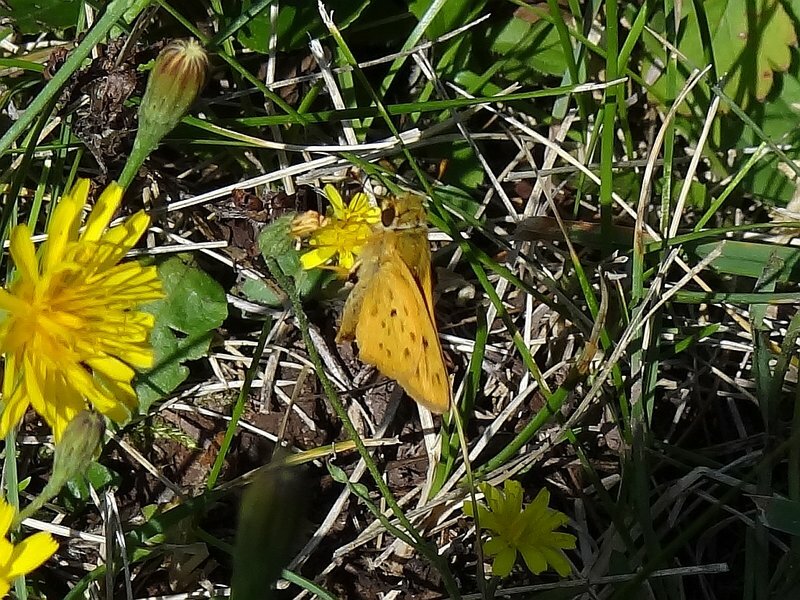 Some other skippers I’m still trying to identify, seemingly in Nastra group. 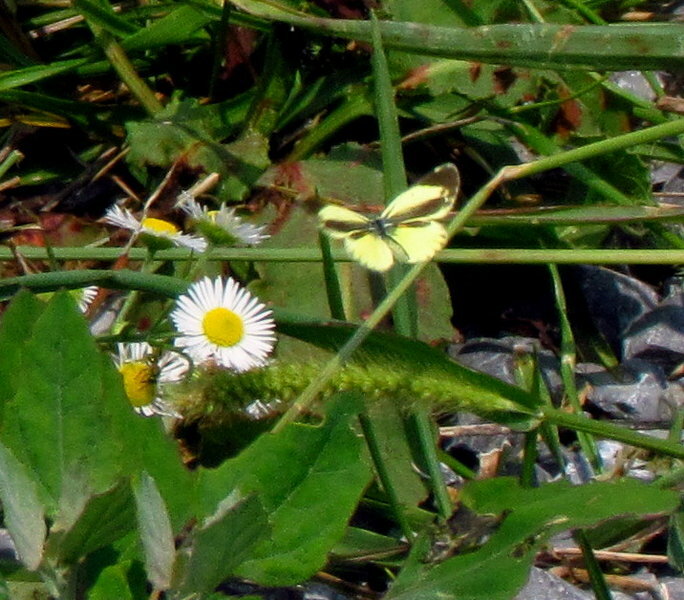 In my garden in Woodstock I observed 5 additional species from the ones at the former IBM recreational area. pickerelweed at Rock Lake Campground in Algonquin Park. This is the first park record (as far as I know). 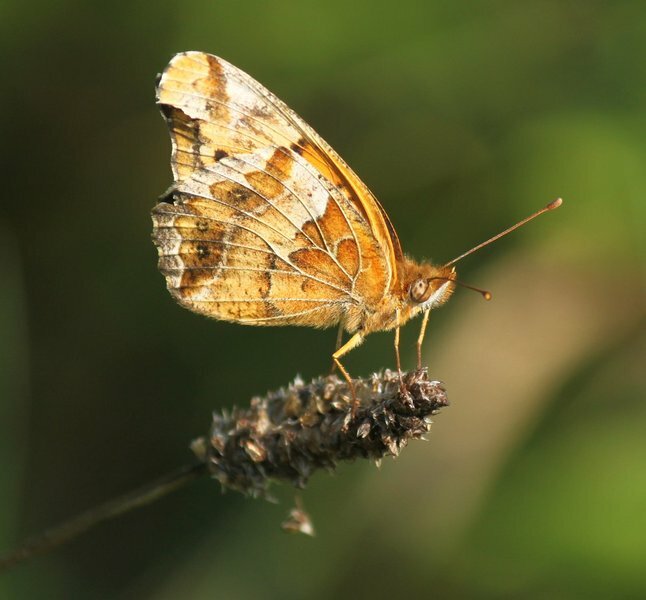 The Bronze Copper was a fresh a male was seen about 200 yards off of County Route 517 (boardwalk). 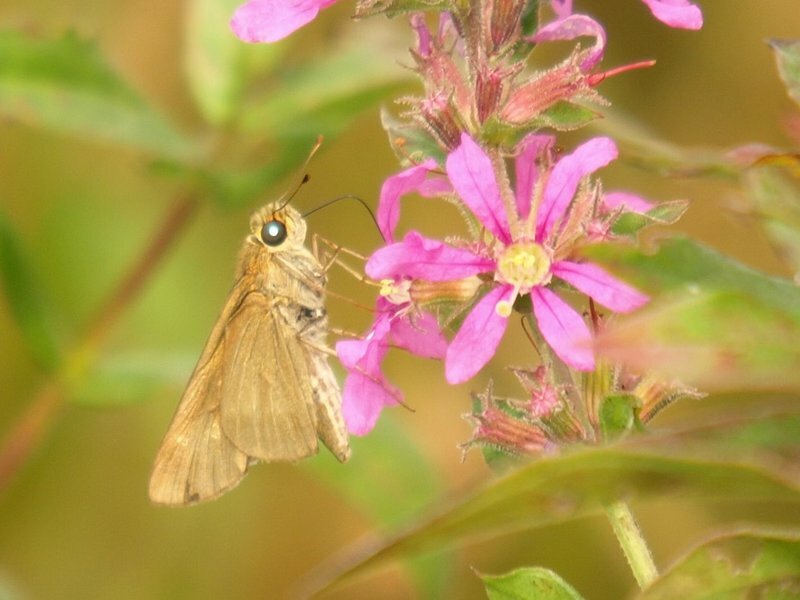 Today, 8/2, temperature in the 80s I observed the following species in in former IBM recreational area mostly nectaring on the abundant loosestrife. 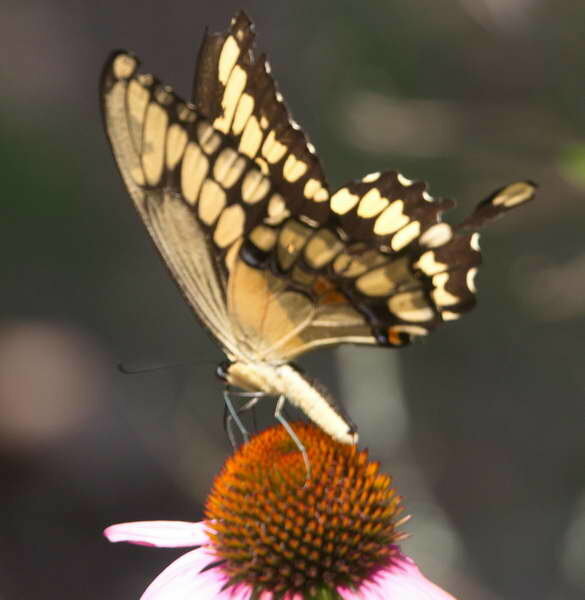 Observations made throughout the refuge between 9:30 a.m & 3:20 p.m. E.Tiger Swallowtails include 1 dark form female. Spicebush Swallowtails included 1 cat on Sassafrass. 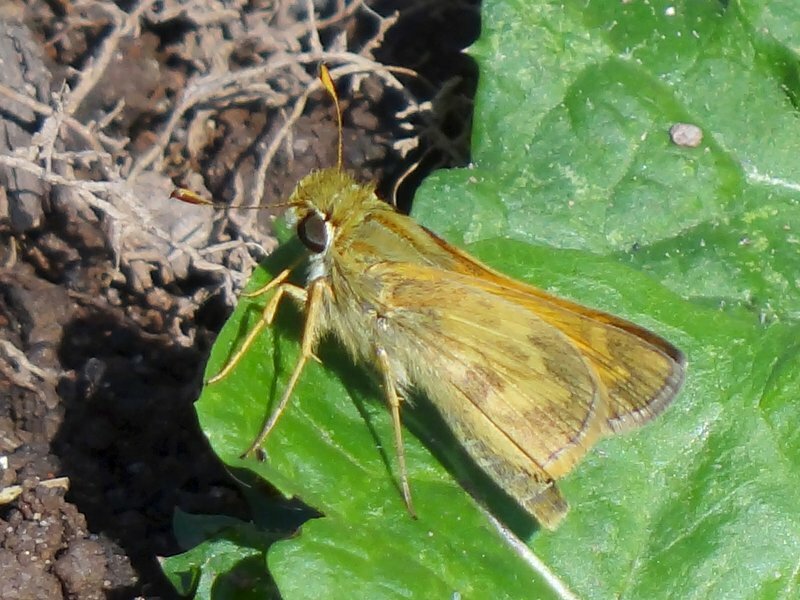 We also observed a female Zabulon Skipper laying eggs on crabgrass. Observations made between 4 p.m. & 5:30 p.m. We observed a Viceroy/Red-spotted Purple Hybrid courting what appeared to be a normal Red-spotted Purple. First time I’ve seen one. Weekly count with Alan Wells. This very fresh Appalachian Brown is possibly evidence of an early “partial second brood” cited in Glassberg’s BTB “Boston-New York-Washington Region.” See the phenogram on page 133. We counted 7 individuals at the pre-decline peak of the first brood on July 6, all worn and torn. We observed none the following week. 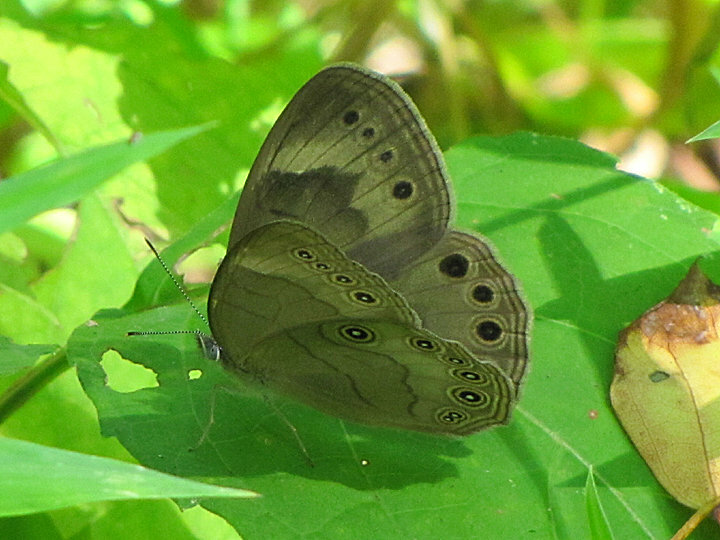 The adult Giant photographed was missing its tails and some of the rear part of the wings but the other was in much better condition. The sighting was actually at the preserved farmstead across from the management area. The Tiger was a nice dark form female. 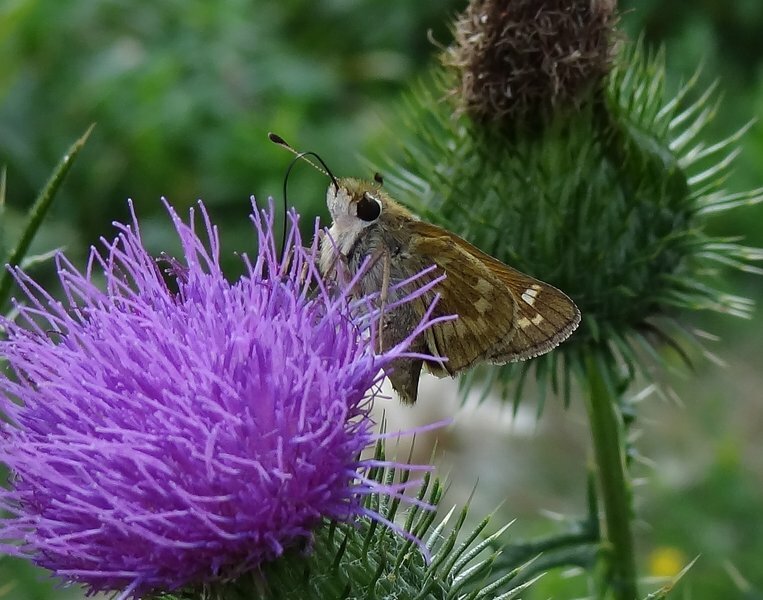 Everyone was nectaring on Bull Thistle (Cirsium vulgare). 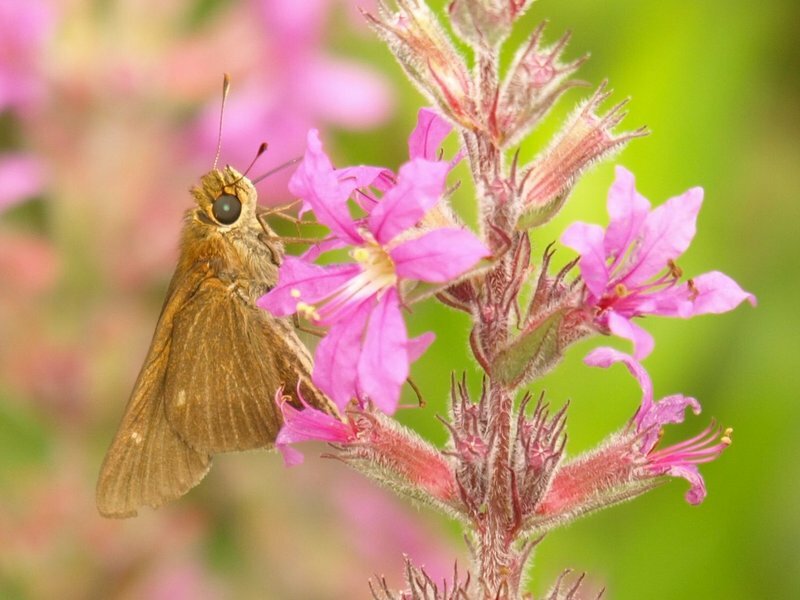 With 10% of the grounds devoted to butterfly-friendly native plants, this is not a typical golfcourse. 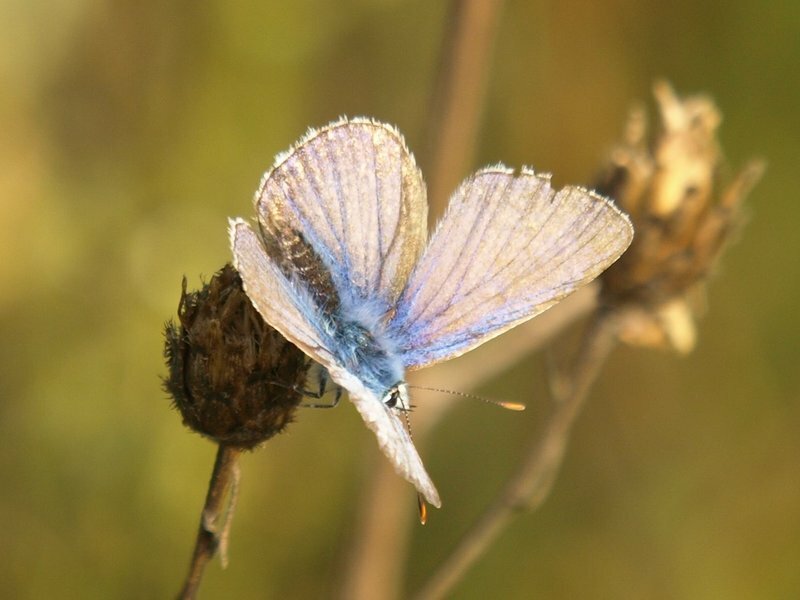 I often hunt for butterflies at this farm market, walking the rows of flowers in the fields. 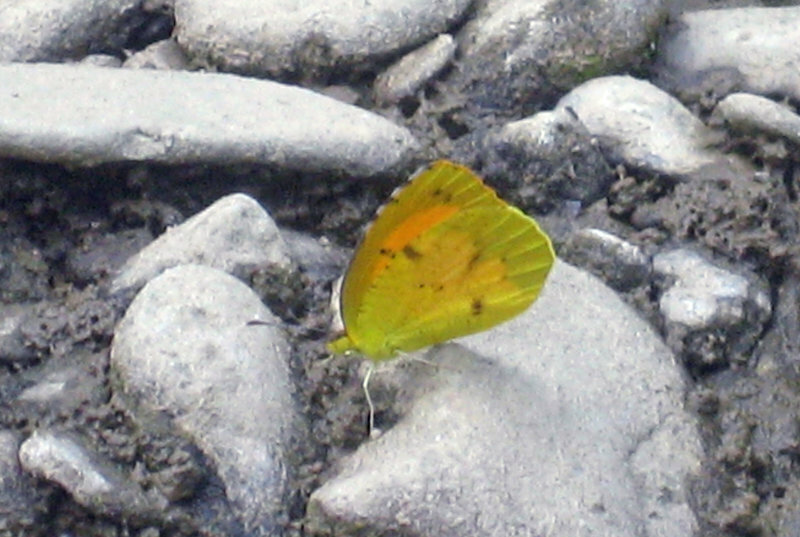 This Cloudless Sulfur caught my eye because it was obviously larger than the multiple Clouded Sulfurs flitting about. I had seen them in Florida, but not in PA.
Evansburg State Park, Skippack Twp. Rt 632 (Shalom Rd) at trout fishing parking lot on Waynesboro Nursery land. 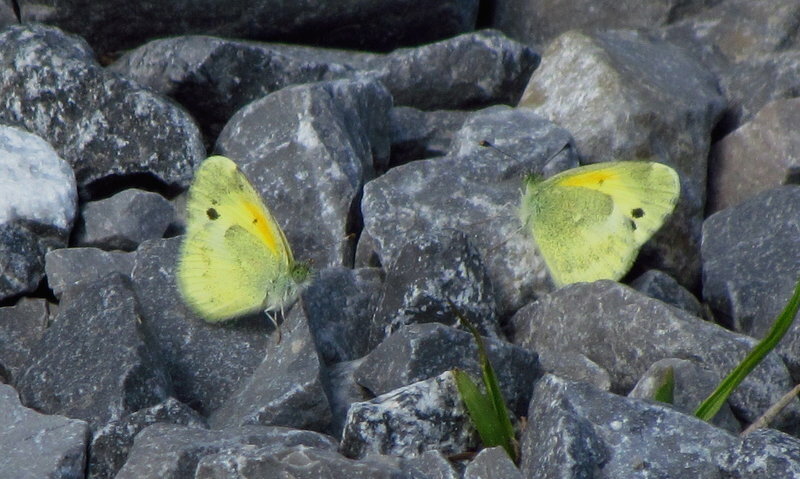 Between Waynesboro and Lyndhurst, Va.
Dainty Sulphurs (Nathalis iole) have been seen since July 28. Usually one or two, but 4 today. GST was feeding on my Butterfly bush in my back yard. Only could get one bad cell phone pic before it left my yard. It was a bit tattered on lower wings. 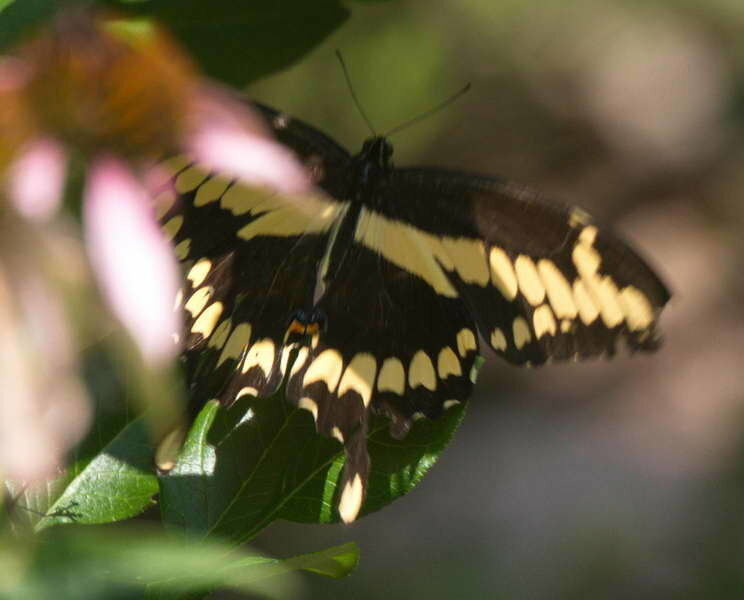 This is the 4th Giant Swallowtail in my yard. It looks like I can expect them every summer. 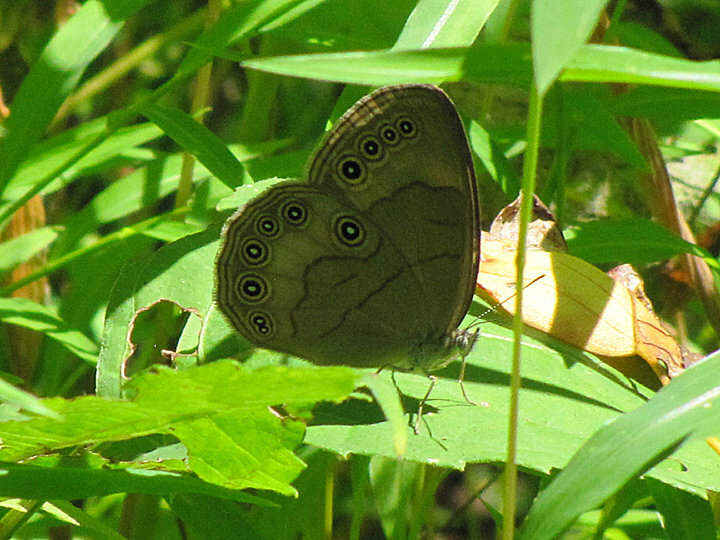 It was seen by Jeff and Rosemary Seidler in Kisatchie National Forest, on Forest Service Road 342, in Natchitoches Parish, Louisiana. 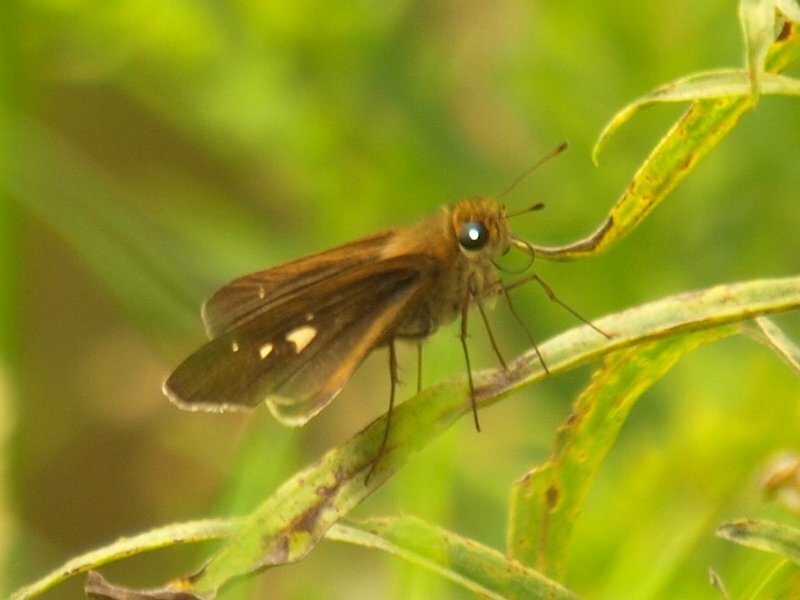 This is a very, very rare skipper in Louisiana. It’s closest normal range is in extreme south Texas. Getting ready for a night of photographing moths… observed Red Admirals flying wildly and a Pearl Crescent nectaring in nearly dark conditions, overcast at around 7:30 p.m.
Sightings recorded over 1.5 hours. 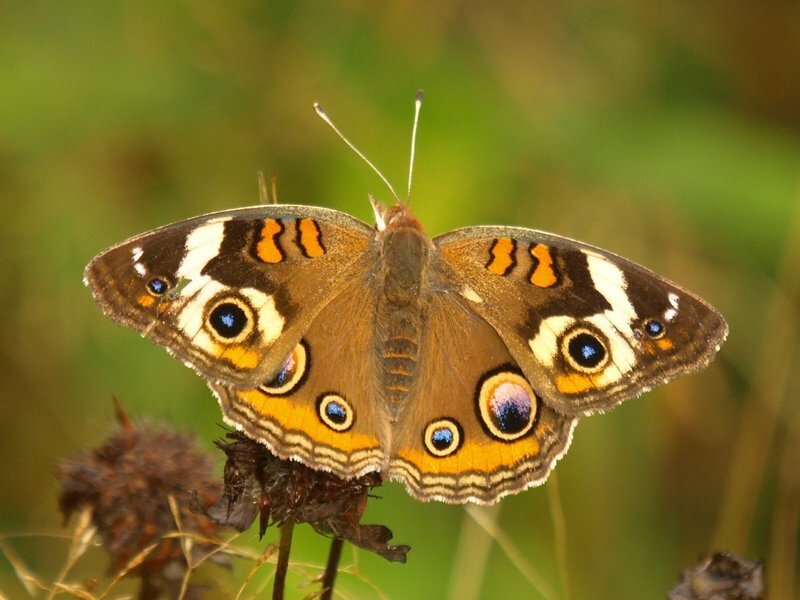 Most sightings recorded as part of Iowa Butterfly Survey Network. Giant Swallowtail still rare here on Long Island. 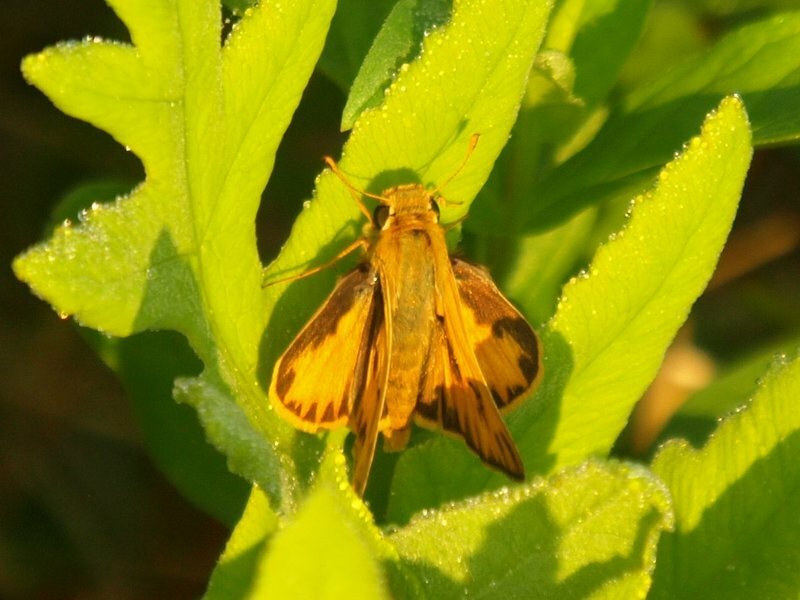 Fiery Skipper count quite high. Very heavy infestation of Woolly aphids on American Beech. Observed 2 female Harvesters laying eggs and at least 3 more individuals behaving like males. With Matt Ceplo, Groundskeeper Matt has created many eco-butterfly-friendly pockets on his first-class golf course. This is perhaps the first photograph of a Sachem in Rockland. The Aquaculture Center is located on the Red Cliff Indian Reservation about 3 miles North of Bayfield, WI. The center’s ponds are a haven for Dragonflies and Damselflies. Many Saffron-winged Meadowhawks as well as a Black Meadowhawk were seen there today. The female Sachem was an unexpected bonus. 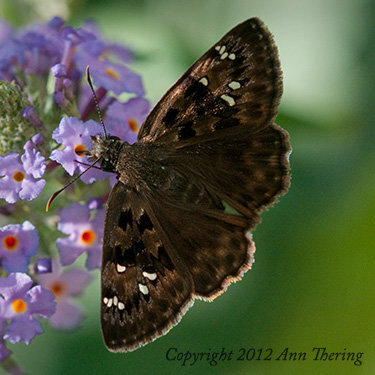 Horace’s Duskywing is a rare visitor to Wisconsin. 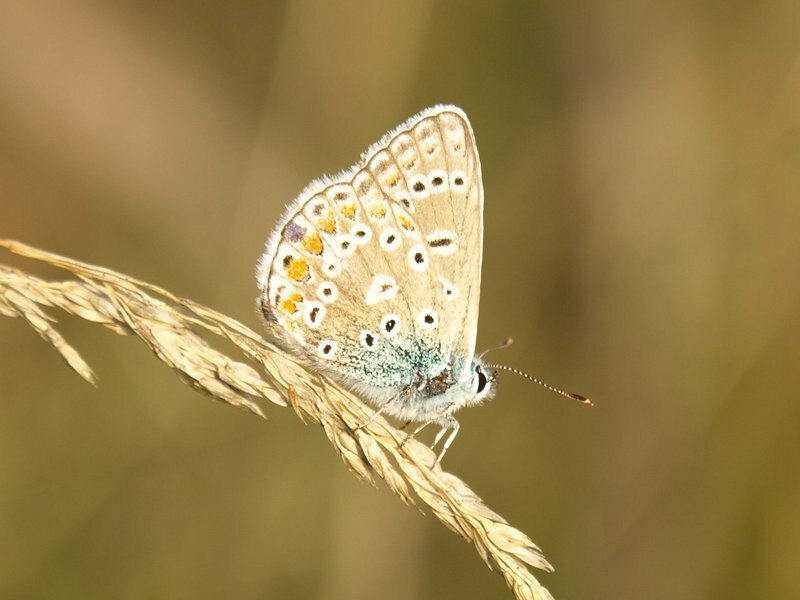 not on the list but well established in the area: European Common Blue (Polyommatus icarus), 2 photographed at 9 a.m. 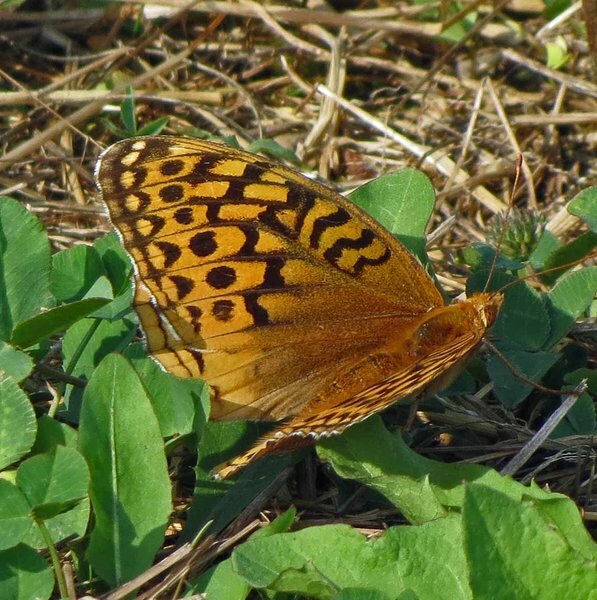 The Variegated Fritillary is the second sighting at this location. Chestnut Branch Park, Mantua Twp. Wonderful nectar sources In the flower gardens around the building. 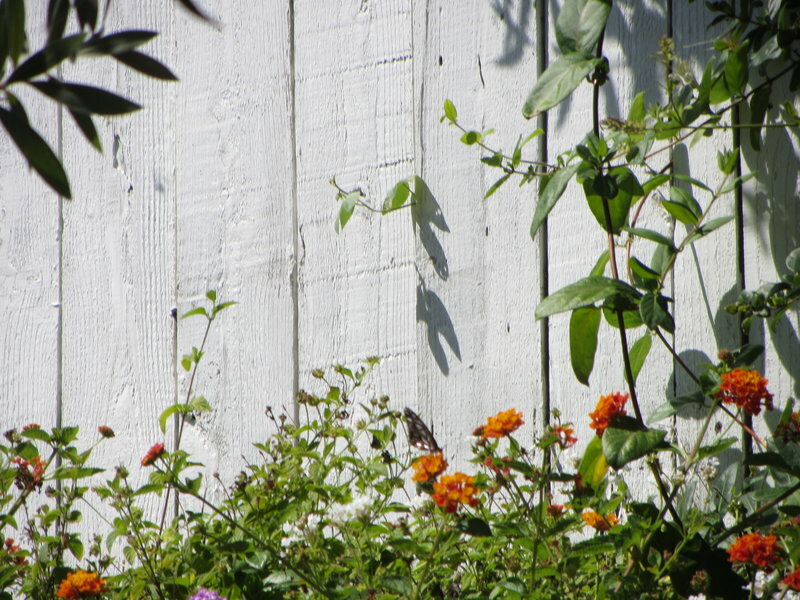 The morning of the 17th, our garden was visited by a giant swallowtail. About the same day, a half mile away, our neighbor saw one, perhaps the same individual. 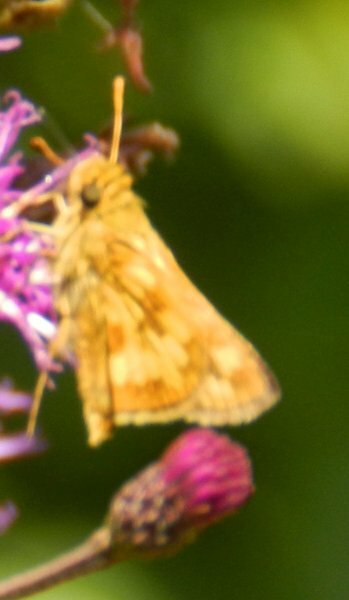 ID confirmed by Dr. Paul Goldstein of the Smithsonian, and by our local butterfly expert, Matt Pelikan. Matt says he believes these are the first-ever Dukes County sightings. 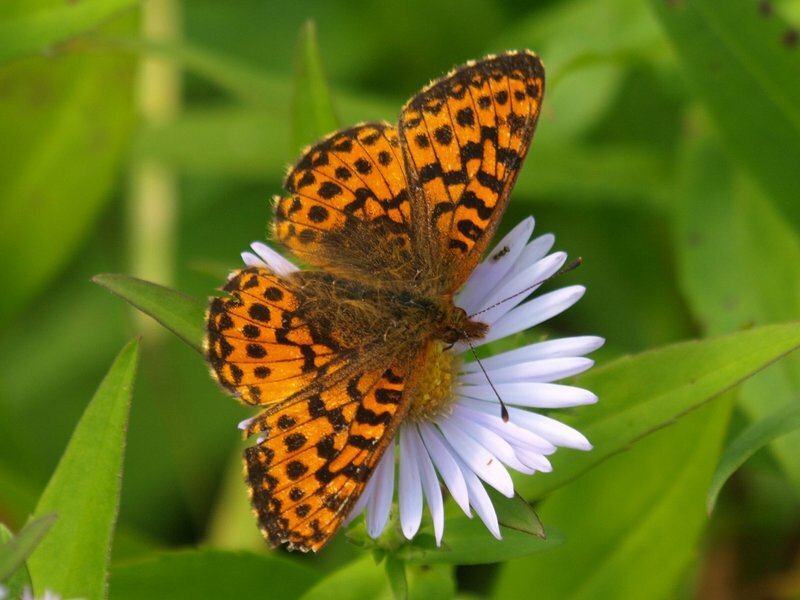 at 3 p.m., partly to mostly cloudy and cool: lots of activity on nectar (especially purple asters) just up the road from the Cragway Spring parking area; assuming this is toward the end of the flight for Purplish Fritillary. Very fresh perfectly intact Giant Swallowtail nectared on my butterfly bush. This one was not shy so I was able to get several pictures. The perfect condition suggests that this one has not traveled very far from where ever it emerged. This is the 5th ever in my yard and the 4th in two years. Also saw 13 Sleepy Orange caterpillars, 1 Sleepy Orange pupae, 3 Cloudless Sulphur caterpillars, and 3 Painted Lady caterpillars. Painted Ladies everywhere now. Horace’s Duskywing unusual for this location. Lots of puddles from yesterday’s rain and plenty of puddling. The 34 American Snout that I saw at one puddle was more than I had seen in my entire life. Never saw one of those before! Very strong emergence of second brood of Pearl Crescents. 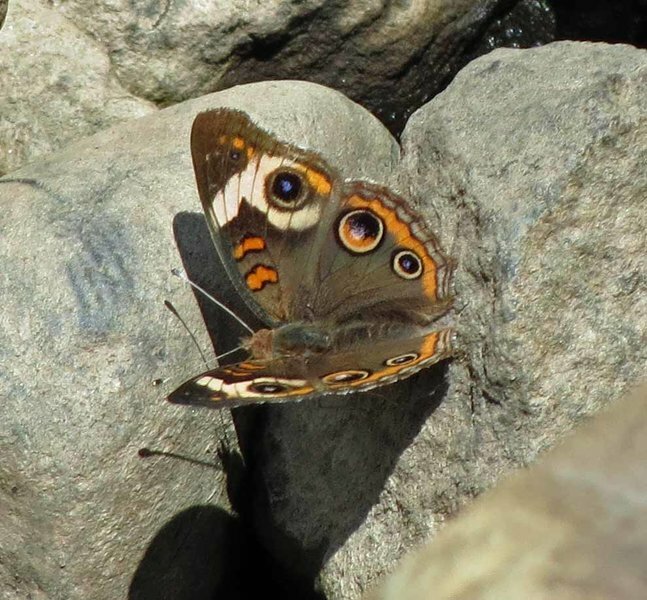 This second hatching of Appalachian Browns has proven to be much stronger than the first in early June, with many fresh individuals recently emerged. 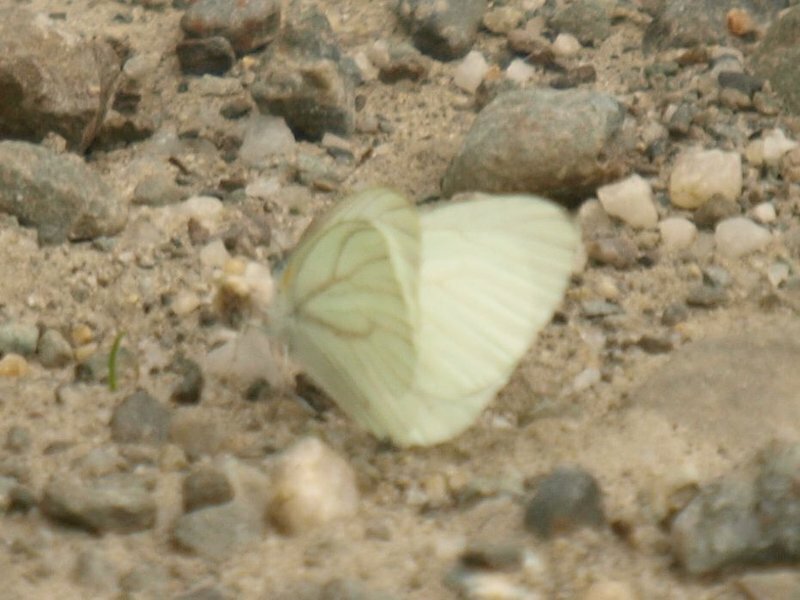 The Little Glassywing is very late and possibly a second brood. The Sachem is my first ever Sussex County record. Noticed unusual number of butterflies - especially abundant Painted Ladies, and then saw the Giant Swallowtail. It was first on Butterfly Weed (Asclepias tuberosa) and then it was on Buddliea. 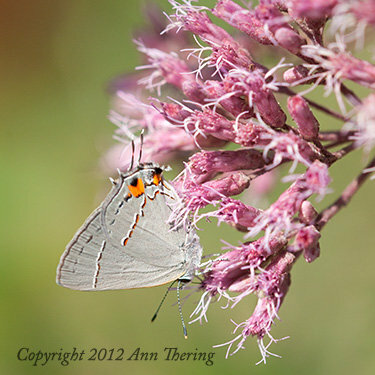 The Red-Banded Hairstreak - feeding on Butterfly Bush - was only the second sighting at this location. The Nine Painted Ladies - all feeding on Butterfly Bush - was the most ever seen at this location. 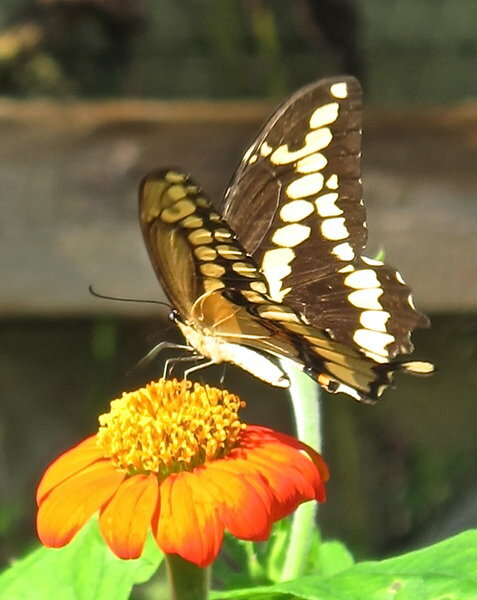 I was surprised to see the giant swallowtail fluttering around my zinnias today, as they aren’t supposed to be in this area according to my field guide. The most Painted Ladies ever observed at this location - all feeding on Butterfly Bush. Springfield Bog contains a planted prairie of 165 acres. 80%+ contains Partridge Pea amongst other plantings. I searched from 11am-4pm. I tagged 50 monarchs. Approximately 50% of the Monarchs were fresh and the other 50% were worn and it is doubtful they will migrate. I only tagged the fresh ones I could catch. Painted Ladies continued in large numbers. Cloudless Sulphur showed up and nectared right in front of my car as I was leaving around 11:30- may have had another fly by asI was on the Loop Parkway headed south to the preserve. 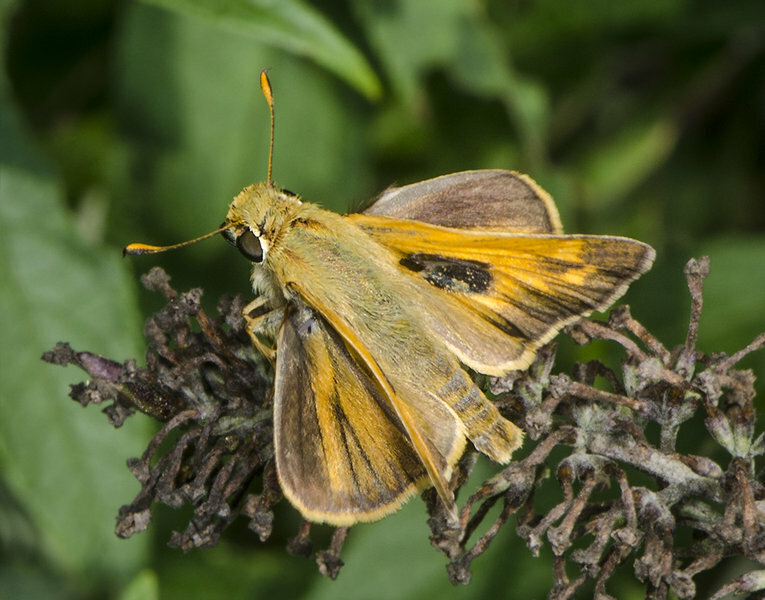 70 Sachems and 23 Fiery Skippers seen in an hour and a half. Sachems first seen in Washburn June 10, 2003. Fiery Skippers first seen on August 16, 2007. Numbers increasing almost every year. 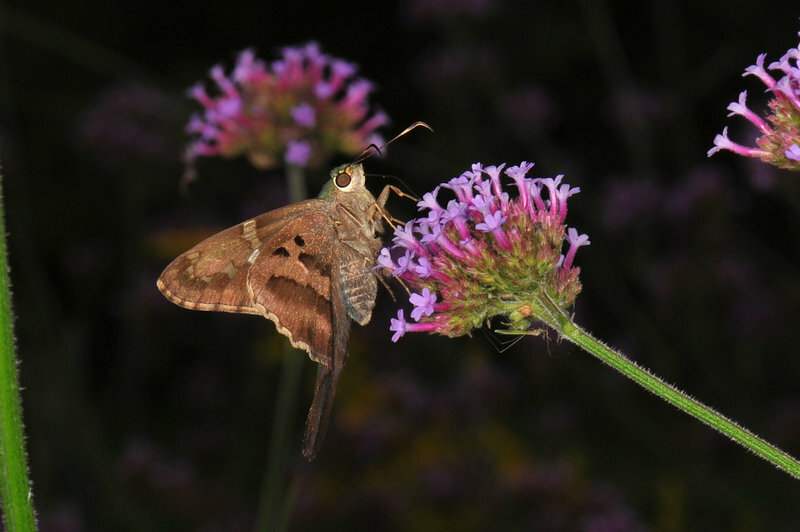 2 Red-banded Hairstreaks fly to brightly-lit sheet intended for moths, 12:30–1 a.m. The swallowtail flew low over my friends house and across the street about 7 feet off the ground. 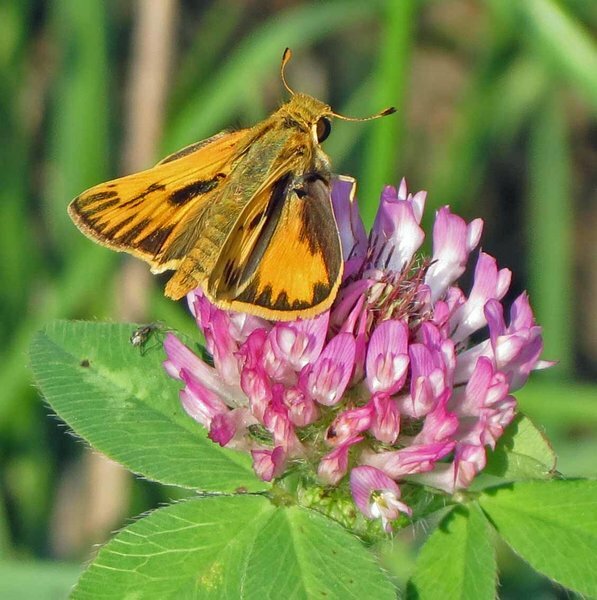 It has been 6 years since we have seen an Ocola Skipper in this park. I walked the entire “nature trail” open to the public on the Konza Prairie. 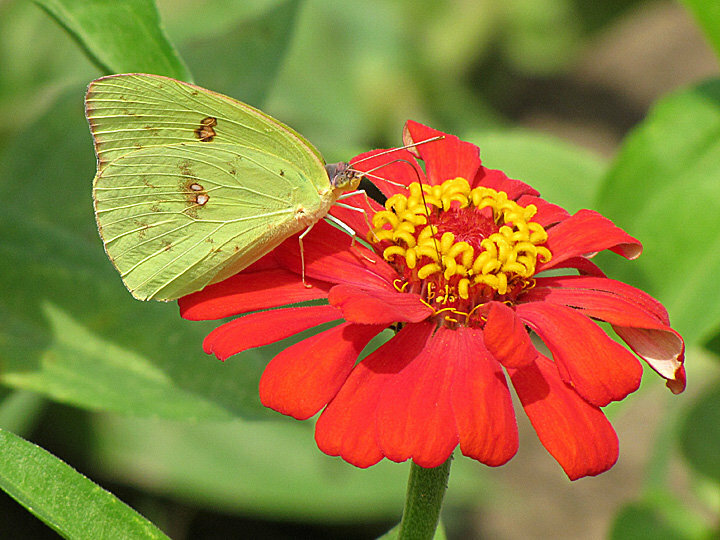 This was just one day after the first beneficial rain in months, and the butterfly numbers and diversity were decent. 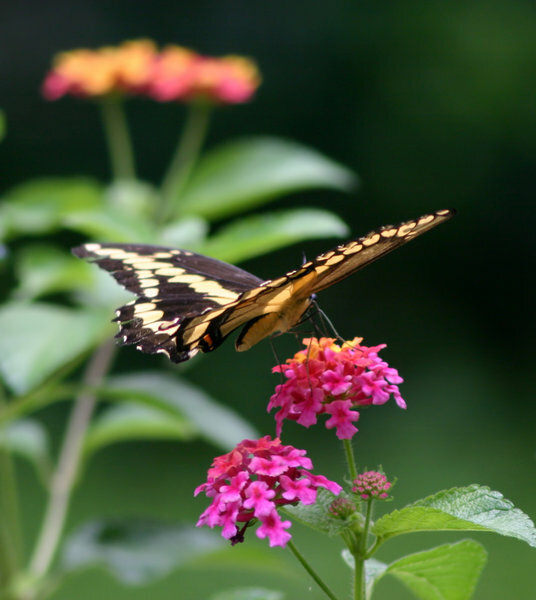 There must but between 5 and 10 all day long on my Lantana plants. First sighting was 8/28/12. A second sighting and photos were on 9/16/12. This is the first sighting of this species on our property. 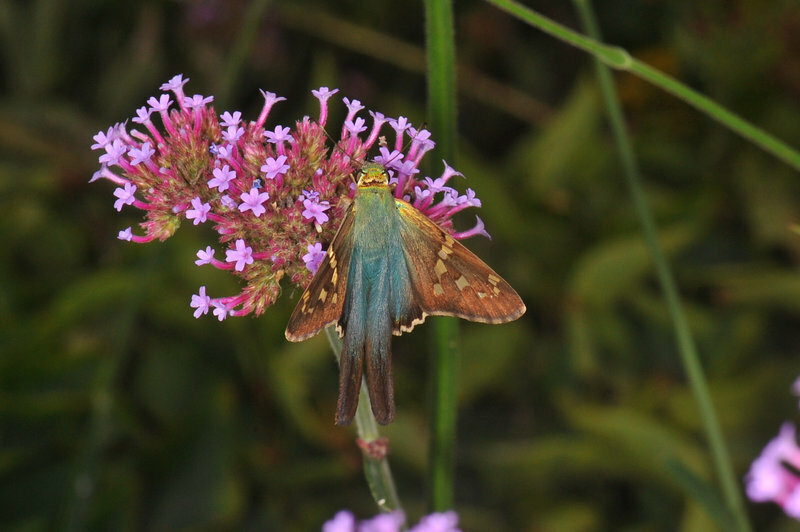 Lots of nectaring activity on ironweed. 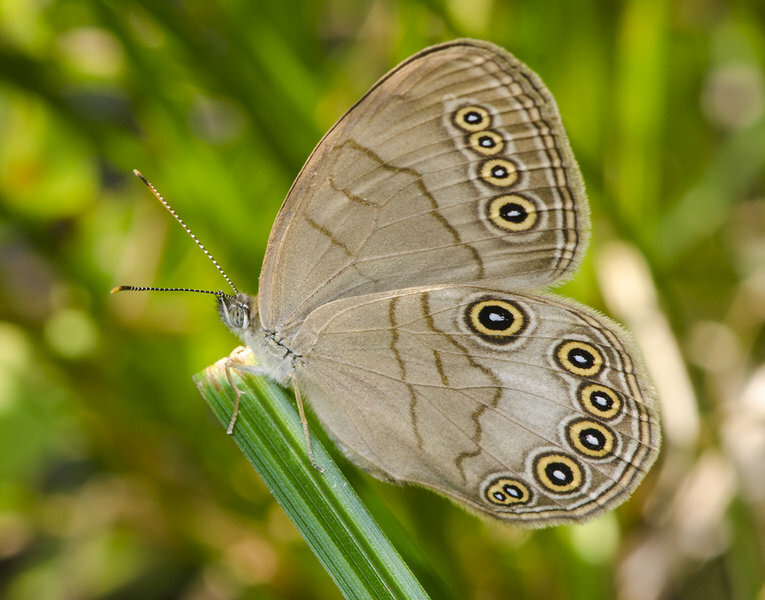 Courtship behavior by Silvery Checkerspots noted. So far as we know, the first sighting of a Red-banded Hairstreak in the County. Shrubby field, goldenrods, grey dogwood, multiflora rose, flowering dogwood. Search from 11:20 to 12:07; “+” were singlets recorded after end of formal survey. Hot, sunny midday (1000 hours - 1230 hours) in the four-mile stretch of right-of-way between Hwy 301 and Carville Price Rd. Abundant nectar: Joe-pye weed, Mikania, ironweed, jewelweed, thistle. 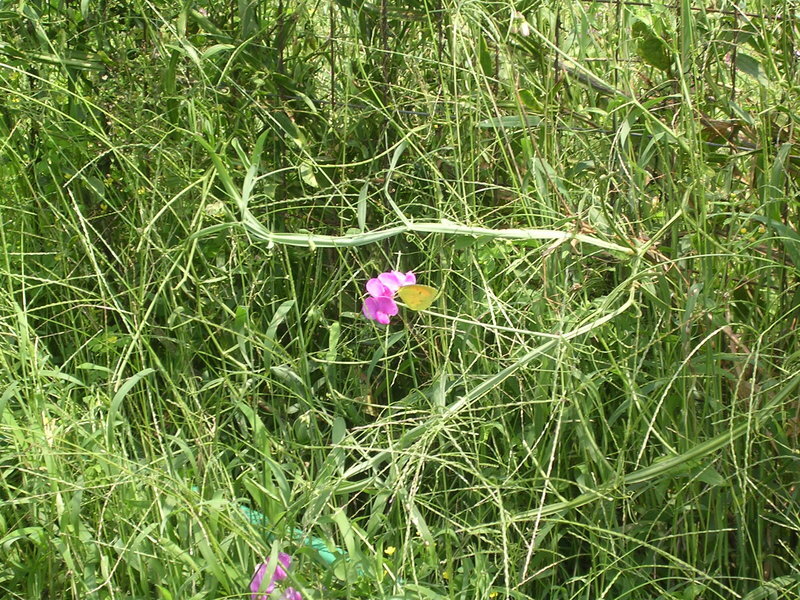 Much of the habitat is damp with sedges and turtlehead. 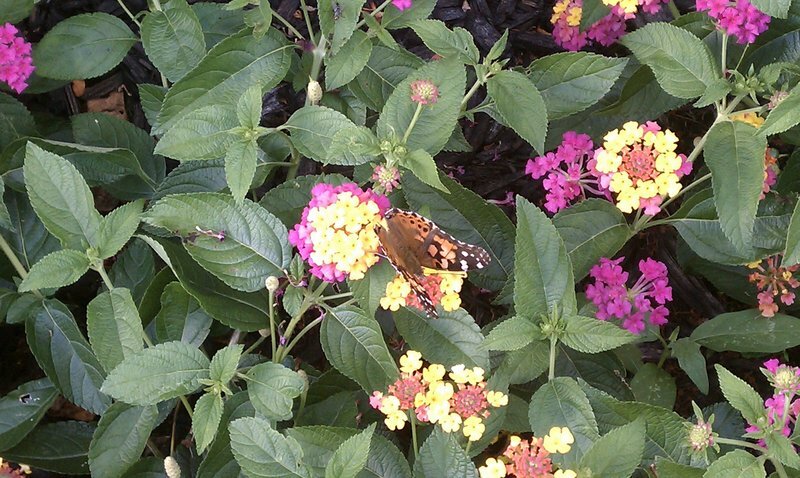 Unusual for Ga. Two Painted Ladies on the butterly bush. counted from 3:57 - 5:19pm; Little Bluestem Meadow with ample goldenrod, knapweed and other plants including New England Aster and Mountain Mint.